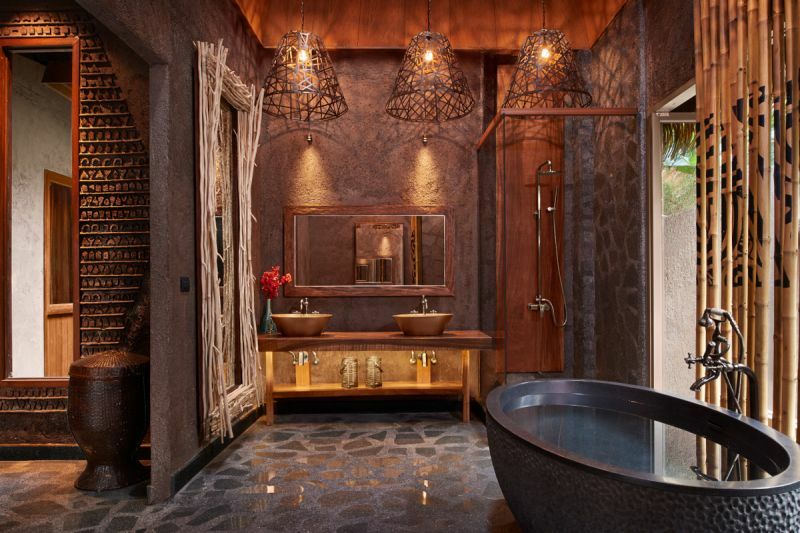 PHUKET: Keemala resort, on Phuket’s west coast, has won the Landscaping & Outdoor Spaces category at the Awards for Hospitality Experience and Design (Ahead) held at The Capitol Theatre in Singapore last week. Pisit Aongskultong, Principal Designer (2nd from left); Sermsuk Kitcharoenwong, Head Architect (centre); Chatchai Namkiatiwongsa, Landscape (2nd from right). Pisit Aongskultong, Principal Designer (2nd from right); Natasha Eldred, Shine PR (3rd from right); Sermsuk Kitcharoenwong, Head Architect (2nd from left); Chatchai Namkiatiwongsa, Landscape (left). Bird’s Nest Pool Villa at Keemala. Tent Pool Villa at Keemala. Clay Pool Cottage bedroom at Keemala. Clay Pool Cottage bathroom at Keemala. A rescued buffalo on the grounds at the Keemala resort. Keemala also placed third overall in Ahead Asia Hotel of the Year 2017 in the awards. 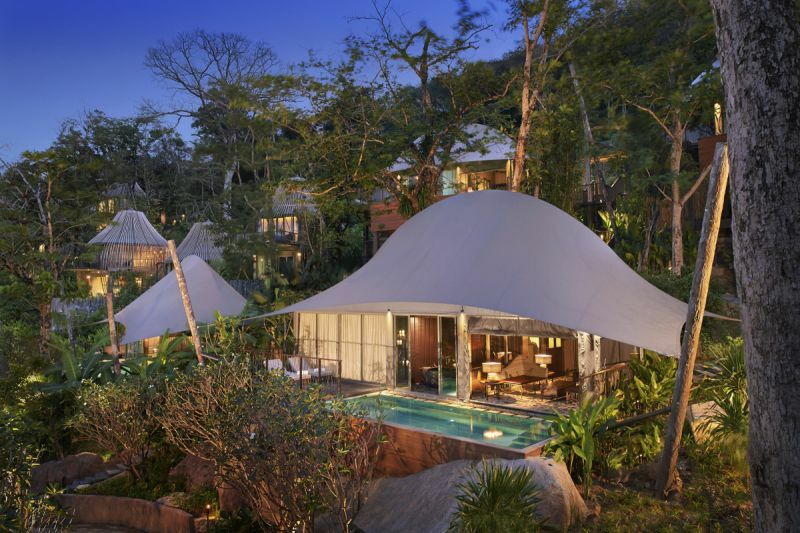 The brainchild-team behind the resort’s Bird’s Nest Pool Villas, Tree Pool Houses and Tree Towers, together accepted the honour on behalf of Keemala at the event last Tuesday (Mar 7). 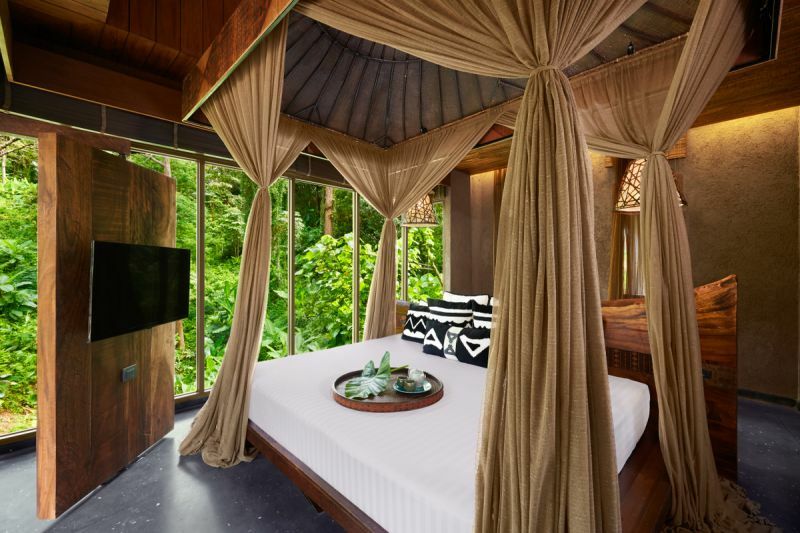 Keemala, an all-pool villa wonderland set in the woodlands of Kamala, Phuket, offers 38 villas and cottages and is part of Small Luxury Hotels of the World. 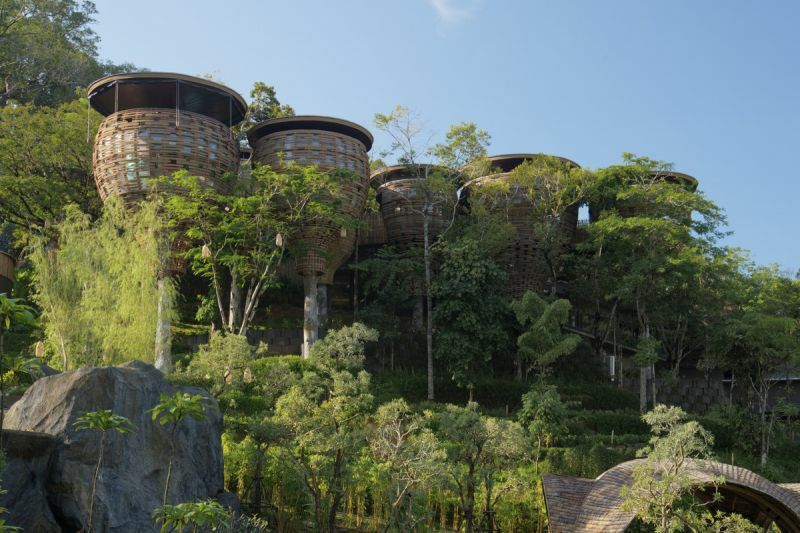 The resort embraces a cultural philosophy and brings it to life through distinctive design and experiences, notably through the concept of celebrating the culture of four fictitious ancient Phuket tribes, the “Pa-Ta-Pea” (Earth), the “Khon-Jorn” (Wanderers), the “We-Ha” (Sky) and the ‘Rung-Nok’ (Nest) people. “Keemala harnesses their ways of life and infuses it into the overall guest experiences. The spa treatments, holistic programs, gastronomic choices, activities and magical accommodation design all derive from the key attributes of the four tribes. “Architecture by Thailand-based company Architect Space, interior designed by Pisit Aongskultong from Pisud Design Company and landscaping created by Stone Design & Contractor Co Ltd,” notes the resort. “We’re extremely grateful and appreciative of this recognition by Ahead Asia. In creating Keemala, our team went through a strenuous effort to preserve the existing environment, especially mature trees. We’re very proud of this project and hope that guests will come and experience this enchanting wonderland,” said Pisit Aongskultong of Pisud Design Company, principal designer of Keemala. 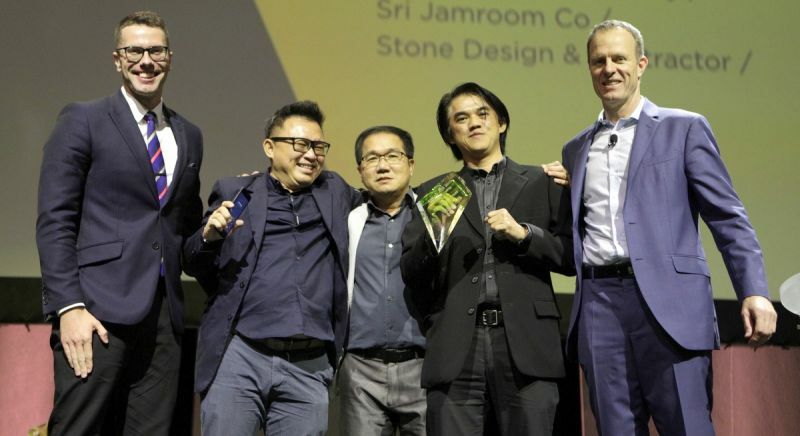 Together with Mr Pisit in accepting the award were Sermsuk Kitcharoenwong of Architect Space and Chatchai Namkiatiwongsa of Stone Design & Contractor. With the Singapore event last week, Ahead Asia launched the first of four award ceremonies world-wide for 2017. 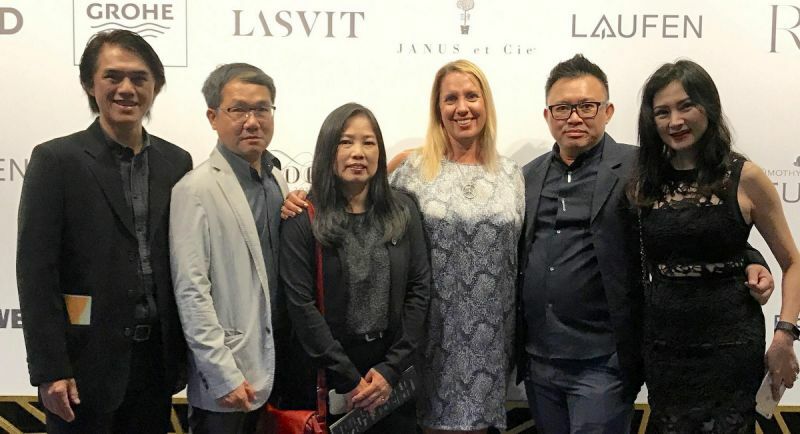 Joining an impressive cast of design and hospitality professionals, the event was attended by resorts such as Katamama Bali, Akyra Manor Hotel Chiangmai, Alila Anji China, Four Seasons Hotel Seoul and Hoshinoya Tokyo. “Ahead celebrates all forms of design in hospitality projects, along with the guest experiences that the designs impact,” explained a press release last week. “A panel of judges comprising leading hoteliers, architects and interior designers are tasked with the huge effort of selecting the winners based on their aesthetic excellence, guest experience and commercial viability. Ahead is hosted by international for hotel design, development and architecture magazine Sleeper.